Buyers can contact us for obtaining Comb Binder (SD-2011B21) in bulk and at affordable prices! We are the noteworthy Manufacturer, Exporter and Supplier of Combo Binder (SD-2011B21) in Guangdong (China). Comb Binder that we make available is capable of punching 80g/70g of A4 sheets. 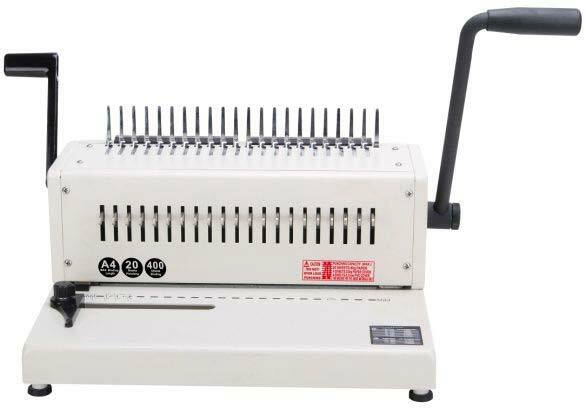 Owing to its compact size, easy operation and longer service life, our Comb Binder is widely in demand. Punching up to 20 sheets 80g A4 per time. Binding up to 400 sheets A4 paper.